2018 Annual Seedling Sale is Underway! The Venango Conservation District is once again holding our annual tree seedling and groundcover sale through March 23td 2018. Species available this year will be Norway Spruce, Colorado Blue Spruce, Douglas Fir, Eastern White Pine, Canadian Hemlock, Red Oak, White Oak, Sugar Maple, Silky Dogwood, and Red Chokeberry. Myrtle clumps and wildflower seed mix are also offered. Get more information in the links below. Pennsylvania DCNR says that at the beginning of the 21st century, about 1,300 species of nonnative plants existed in Pennsylvania outside of gardens, parks and agricultural lands. That means that 37 percent of Pennsylvania’s total wild plant flora consists of nonnatives. DCNR says that more nonnative plants are introduced every year. A nonnative plant is one which was brought into the state and eventually became established in the wild. Pennsylvania’s native plants number 2,100 in the wild. They include ferns, mosses, grasses, sedges and rushes, wildflowers, woody trees, shrubs and vines. Native plants are those plants growing in Pennsylvania before European settlers arrived. Native plants evolved in Pennsylvania and are therefore well adapted to the area soils and climate. That means they are easy to care for once established. Many natives require little to no additional fertilizer and extra watering. Landscaping with native plants means you can use less fertilizer and less water to keep them looking happy and healthy in your garden. If everyone were to utilize native plants in their gardens, there would be less chemicals like fertilizers and pesticides washing away to local waterways, which means a reduction in water pollution. According to the Penn State Cooperative Extension, another big reason to landscape with native plants is biodiversity. 90 percent of our native insects feed on only three or even fewer families of plants. Our native insects rely heavily on native plants. If our native insects cannot feed on growing nonnative plant populations, then by extension, native birds would have fewer insects to feed on. 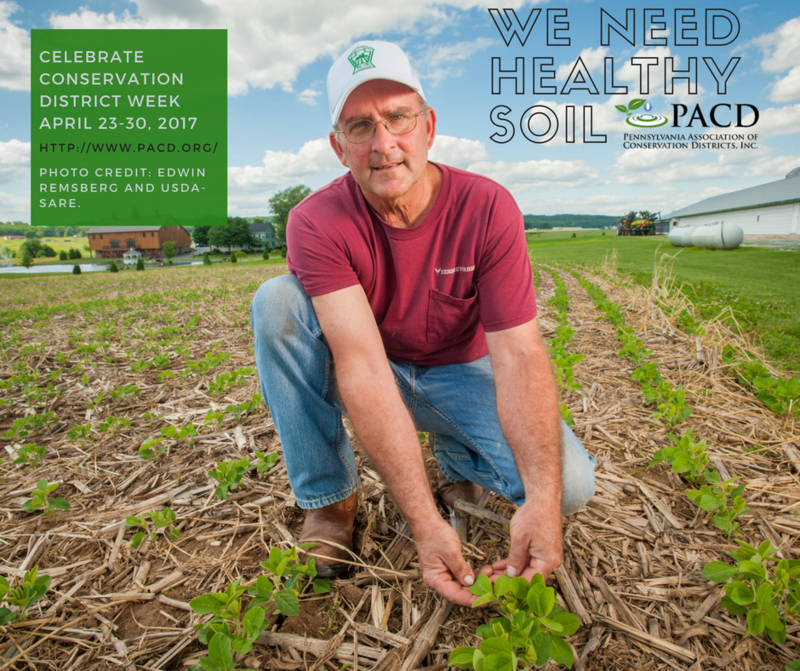 Penn State Extension says that what we plant in our yards today will determine what kind of wildlife will be living in Pennsylvania. By planting native species we can help Pennsylvania’s natural history and diversity sustain. Pollinating insects keep our fruit, vegetable and seed crops going. Bees, butterflies, moths, beetles, birds and even bats rely on pollen and nectar. Food from native plants will keep our native ecosystem going. The Venango Conservation District is pleased to announce that a grant from the Pennsylvania Association of Conservation Districts has been received. Funding is provided through the Pennsylvania Department of Environmental Protection under Section 319 of the Clean Water Act administered by the US Environmental Protection Agency. The district will be working to educate home/land owners and the general public on how to landscape with native plants rather than exotic plants. A workshop will be held later in the summer. Three outdoor brochure holders have already been installed throughout Two Mile Run County Park. These brochure holders contain a hand-out sheet highlighting the native plants in bloom each month on the Park. Informational signs demonstrating how native plants reduce nonpoint source pollution in the watershed are also installed on the Park. Want to learn more about using native plants in your landscaping? There are many great websites to use for research. The Pennsylvania DCNR webpage on Landscaping with Native Plants is www.dcnr.state.pa.us/forestry/plants/nativeplants. 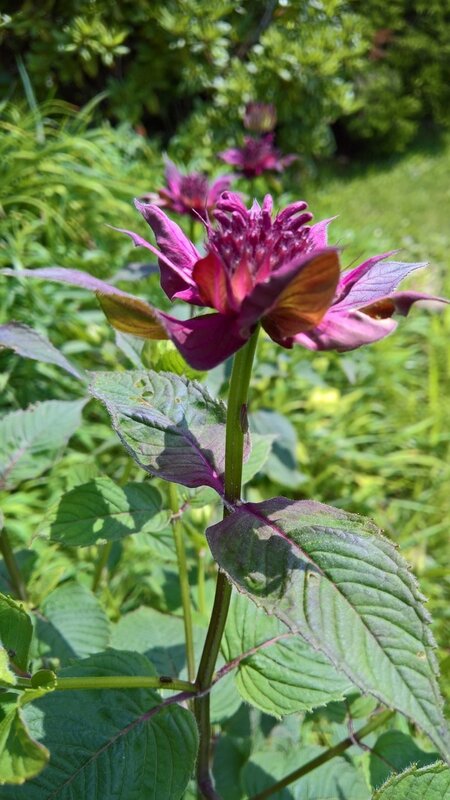 The Penn State Cooperative Extension webpage on Pennsylvania Native Plants for the Perennial Garden is located at http://extension.psu.edu/plants/gardening/fact-sheets/perennial-garden/pa-native-plants-for-the-perennial-garden/pdf factsheet. VCD Welcomes New Staff Members. The Venango Conservation District is very pleased to announce that two new staff members have been added. Hilary Buchanan has been hired as the district's Dirt Gravel and Low Volume Roads Technician, and Tim Hummel has been hired as the district's Watershed Specialist. Each began their new positions on May 2nd. Hilary has earned a Bachelor's degree in Environmental Geoscience and has work experience with wetland delineation, NPDES permits and Chapter 105 General and Joint Permits. She also has work experience in water sampling, and ArcGIS work. Hilary has been off and running since her first day. She has attended new staff training for the Dirt & Gravel Roads program. She has been on project locations most every day in May. She even helped out with elementary education programs. Tim has earned a Master's degree in Biology. Tim has work experience as a Watershed Project Manager and experience as a field technician. 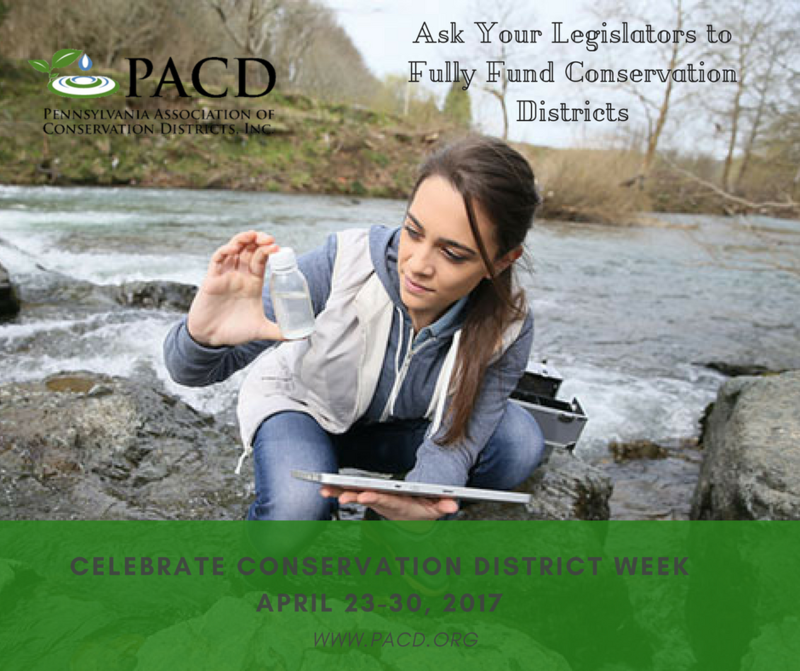 Tim has been busy around the County meeting with local watershed associations and contributing to elementary education programs. We are so impressed with the work our new staff has progressed with just in the month of May. We are looking forward to the great work these new staff members will bring to our office and to Venango County. A Call Out For Discussion on Disposal of Agricultural Plastics. The Venango Conservation District, together with the Venango County Regional Planning Commission and the Venango County Penn State Extension will host a public meeting to discuss potential recycling options for agricultural plastics as alternatives to hazardous burning or costly disposal to landfills. A wide variety of products are "agricultural plastics". They could include such things as white bale wrap, silage bags, bunker and bale covers, row plastics, high tunnels, hoop plastics, plastic twine, netting and seed/grain bags. These products are increasing in use due to their durability, flexibility and low cost. Some experts estimate that 15-20 pounds of agricultural plastics per year are used per dairy cow. So, the problem becomes, how to dispose of all that plastic. Burning agricultural plastics can release toxic chemicals into the air and residues can contaminate soil and ground water. Options for recycling agricultural plastics are slowly emerging around the country. The challenge is cleaning, collecting and shipping to recycling facilities. Agricultural plastics have the potential to be recycled into garbage bags or plastic lumber. We would like to hear from farmers and producers on their interests and needs with regards to disposal of agricultural plastics. The public meeting will be held on Thursday March 31st 2016 at 6:00pm at the Venango County Fair Auditorium. Please join us!